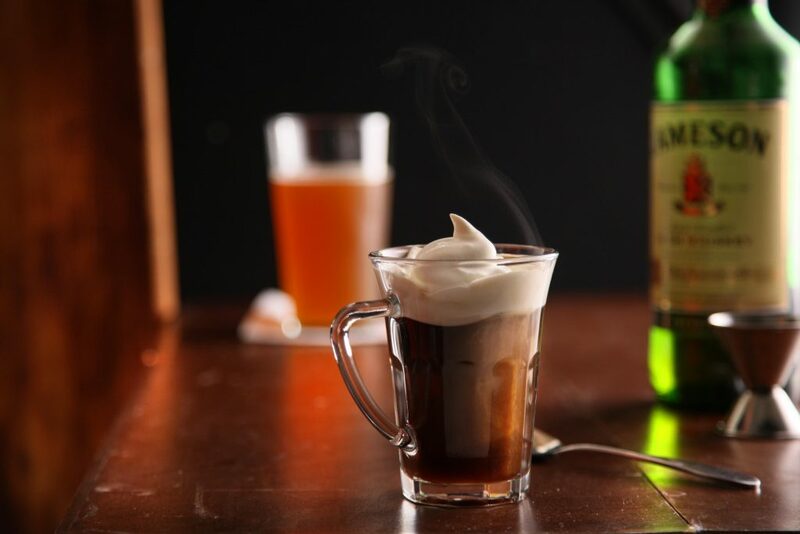 It’s Irish Coffee week so we thought we’d share our favourite Irish Coffee recipe. This simple recipe will have you sipping on the glorious combination of Irish whiskey and coffee in no time at all. Heat a tall, sturdy glass (traditionally with a stem) with boiling water. Pour away the water. Add the sugar and coffee and stir until completely dissolved. Add the whisky to the coffee and stir. From a jug with a good spout and over the back of a teaspoon, pour your slightly whipped cream over the surface of the coffee until you hit the rim of the glass.